Stream anime episodes online for free, Watch Mobile Suit Gundam 00 Season 2: Episode 18 English version online and free episodes. 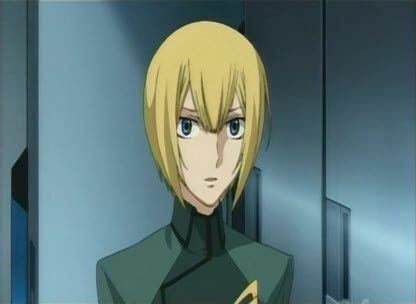 Anime Episode guide, Chapter Mobile Suit Gundam 00 Season 2: Episode 18 English dubbed Entangled Yearnings.Four months after the destruction of the orbital elevator in Africa, the world is a different place: the AEU’s orbital elevator is rebuilt; A-Laws have completely absorbed the entire military and Katharon’s members are systematically hunted down. Despite their success in destroying the second Memento Mori, Celestial Being endures wave after wave of A-Laws attacks, thanks to an oblivious Anew Returner’s networking with the Innovators. Tieria suggests to the Ptolemy crew that the time is right for them to carry out a mission to take back Veda. For that purpose, Sumeragi designs a plan centered around capturing an Innovator and the plan begins as the A-Laws attack yet again. Meanwhile, after Ribbons discards Wang Liu Mei, Regene gives her the coordinates to Veda’s core with instructions to deliver them to Celestial Being in person.